Of course not. We're months away. What would we talk about? 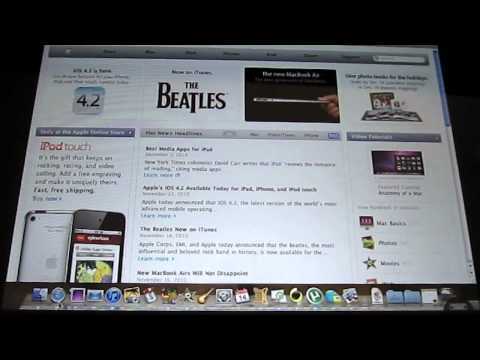 We know what's happening: Mountain Lion, iOS 6 preview, maybe some new hardware if Apple isn't stupid. Look at the Moscone West schedule at the time that WWDC is slated. I'll bet you it's still open or reserved for a "special event". There you go. WWDC 2012 is June 11-15. EDIT: all this extra spacing is ticking me off. Reports have also suggested that the Mac maker may significantly increase the screen resolution of its laptops. And people were dismissing the significance of 4K resolution support when it was first reported. Not sure if I understood your point, but as far as I know Lion already has hidpi support, or at least embedded hi-res artwork for the whole system. I think we will see hidpi iMac and MacBook Pro now rather than latter. Would surely be very exciting! It's the other way around: the iMac chips are out. The long overdue iMac update must be around the corner. I think so as well. The iMac should have been updated months ago, historically speaking. Apparently the availability of Intel's chips - Thunderbolt, chipset and CPU - was the last standing restriction. My point is that hidpi is nowhere near ready in lion, I know, I 've used it, and that it's not ready from the devs front. Even if some os elements in lion appear as they should, applications such as office do not. So if the pros have retina and not ml I can't see how they ll be usable. It's June 6-10 Moscone West, which isn't noted as being booked on those dates. They aren't listed as launched though so I guess the April 29th date is still the official date when they reach customers. Apple started doing Wednesday launches at one point to throw us off. I'd guess either today or tomorrow with 5-7 day shipping or May 1st, 2nd with 24 hour shipping. Maybe the price will vary significantly but why bother making two chips that will likely perform exactly the same. Maybe eventually they'll just build mobile chips and there will be no distinction. Apple really does need to make a policy statement about continued support for the Mac Pro or, at the very least, have a "highly place source" leak plans for a next Mac Pro and support for it beyond that. There are quite a few people sitting on the sidelines waiting for Apple to clarify the situation. Quite a few of them are willing to change OS to keep the hardware they need/want. It is a real shame that Apple is leaving people hanging on this. If Intel does delay the new Xeons much, it may well be that the next real opportunity for something new will be next year when, supposedly the next new processor is due. It is Tuesday and nothing has been announced by Apple about new MBPs or iMacs...what is the problem guys? I don't know what universe you are in if you think it bad business to let customers know you are not abandoning them. It is true that Apple, historically, treats customers like (used oats) and is disinclined to tell anybody anything. That does not mean it is bad business practice to do so however. Indeed, in this instance, all the company need tell the customers is that there will be a continuation of the product line. That's it! You miss the point of my earlier statement entirely. It is not a matter of waiting for the release of the new product, but rather a question of whether there will be a new product and, if so, whether there will be a new product after that. The "or I'm leaving mentality" that you don't get is the group of customers who will be forced to leave because of the lack of a product to purchase. I don't buy your "the fact that nothing has been said means something good is coming" approach. Does that mean that, because Apple have said nothing about a 17" MBP something good is coming? Apple is proving to again be the unreliable vendor that they were some years ago which is too bad. I have no idea where you dreamed up the idea of "detailed product preannouncements" when the comment was simply about letting people know that there will be a product. Perhaps, just perhaps, it would be helpful to read the post before taking off on tangents. Apple have, on occasion, shot themselves in the foot with particular market segments. For example, Steve's incessant war with Adobe, drove a lot of photographers, graphic artists and other users of the Adobe Creative Suite from the platform because of the uncertainty of whether there would be a 64-bit version for the Mac (which turned into an extended delay). A good many simply could not give up the productivity gains the 64-bit app offered in the face of the uncertainty created by Apple. <p>	I don't know what universe you are in if you think it bad business to let customers know you are not abandoning them. I'm not sure where this insecurity comes from. Apples PC business is doing really good and has done so for years now. That is largely driven by laptop sales, which should hightlight to anyone that Apples desktop line has issues. It is a given that sooner or later they will rationalize that desktop line up. That means a Pro machine that actually sells well needs to be offered up. It is true that Apple, historically, treats customers like (used oats) and is disinclined to tell anybody anything. I'm not really sure there is any point in discussing this with you if you honestly believe the above. Apple isn't treating customers like used oats, as assinine as that is. Honestly though if you can't grasp why they impose secrecy on product development then I'm spinning my wheels here. That does not mean it is bad business practice to do so however. Indeed, in this instance, all the company need tell the customers is that there will be a continuation of the product line. That's it! Baloney! There is no way that could ever be useful. If they say yes it will be continued then people will put life on hold waiting for hardware that may not even have a firm shipping date yet. On the other hand if they tell people it will be discontinued they then have people all excited even if they have a replacement in the wings. You don't have a point. It serves no useful purpose to discuss future products. The history of the computer industry is filled with various company failures for doing just that. <p>	</p><p>	The "or I'm leaving mentality" that you don't get is the group of customers who will be forced to leave because of the lack of a product to purchase. I don't buy your "the fact that nothing has been said means something good is coming" approach. Then leave and stop whining on the forum! If you aren't willing to wait to see which direction Apple is going in then leave and go in your own direction. Really I get tired of this spastic noise about the Mac Pro when the most likely chips for that machine have only been announced for about a month now. That of course assumes Apple is actually going to produce another iteration of the Mac Pro when there are really good reasons to not build another Pro machine on that frame. In a sense yes it does. You need to realize Apple has also said nothing about the 13 & 15" MBPs either. Yet in each case I suspect something good is coming. The problem I have with you, is that you are letting some analyst with no inside info, jerk your chain. This is the problem, not the potential of the 17" being discontinued. The 17" could go the way of the Dodo or be replaced with something entirely different. It really doesn't matter until whatever happens happens. You never know the new machine could be the ultimate laptop in many users eyes. That is complete bull crap! Apple has been doing great delivering really good products into the Mac channel. Nothing I've seen even remotely justifies your calling them unreliable. <p>	</p><p>	You repeat my earlier comment that, should the Sandy Bridge Xeons be delayed, as appears to be the case, it would make sense to focus on its replacement (Haswell) as the basis for the new Mac Pro, if there is to be one. </p><p>	</p><p>	I have no idea where you dreamed up the idea of "detailed product preannouncements" when the comment was simply about letting people know that there will be a product. There is no way Apple can pre announce anything to any level of detail and get a positive result out of that release. That is what you don't understand and apparently never will. In any event as long as Apple sells Macs there will be product. Maybe not the product that meets your needs but product none the less. Perhaps, just perhaps, it would be helpful to read the post before taking off on tangents. </p><p>	</p><p>	Apple have, on occasion, shot themselves in the foot with particular market segments. For example, Steve's incessant war with Adobe, drove a lot of photographers, graphic artists and other users of the Adobe Creative Suite from the platform because of the uncertainty of whether there would be a 64-bit version for the Mac (which turned into an extended delay). Where did you get the idea that there was a war with Adobe? As far as I can see there never was a war. If anything Adobe took a pissy attitude with Apple when Apple forcefully set out the path to 64 bit. Frankly they did the right thing as it forced porting to Cocoa. By the way Adobe wasn't the only company to have to deal with this porting, in the end though it has proven to be one of Apple smarter moves to leave legacy software behind. In any event I'm still of the opinion that it is best to ignore all the negative speculation about Apples new Macs. As noted Mac sales still outpace the industry. There is little reason for Apple to abandon the product line. More importantly a lot of new technology is converging that gives Apple a huge number of options for future hardware. Even if only a few new bits of tech get into the new Macs it will still make for impressive new machines. Seems I was right. I mean, 'convention', 'west', and 'corporate meeting'. That's a trifecta there that screams Apple. Ah, I saw a banner on the WWDC site saying June 6-10 - that must have been last year's banner. but no mention of desktop series. They did add desktop support for Radeon 6000 cards in Lion that weren't used in any machines. Maybe they planned to update the Pro for Sandy Bridge last year and Intel has just messed it all up by delaying it so long. If they did do an update, I expect the spec they'd go with for the Pro would be still up to dual processor, 6x Thunderbolt, 1x internal slot (x16) for a proprietary GPU card and no optical drives. This could be about 2/3 the size of the current one. It would be 40% faster at best (the GPU might make up for it though with OpenCL in apps like FCPX). This is fine for a 1 year upgrade but not after almost 2 years. IMO, the best way to salvage it would be if Intel skipped Ivy Bridge Xeons and went to Haswell. That wouldn't exclude the option of a Sandy Bridge update and it gets back to Moore's Law for upgrades. Marvin, have you seen the CruxLoaded? It's sort of like the Transformer dock, and has a built in trackpad as well as keyboard. Think the software even throws a cursor onto the display. More expensive than the Transformer thingy, but I'd go for one if it had a numeric keypad. (Too bad there's not the room.) Still in development but I believe they are taking orders. A laser keyboard would be cooler but not tactile.